1. Keep it fun: The most important element of youth sports is to have fun during practice, scrimmages and games. If kids are enjoying themselves, then they will most likely to continue to play sports, which will eventually lead to improvement and success. 2. Make it positive: Use encouraging words and gestures when coaching children. Positive experiences will produce self-confidence and self-esteem in a young child’s life. 3. Emphasize effort over results: Try to recognize effort over results in children through concentration, hustle and focus. Use words of praise to reinforce that good behavior. 4. Define goals for individuals and a team objectives to gauge success: Give each child a personal goal to strive for in sports play. Also identify a team plan as a measuring stick for success. Remember, the score does not tell the whole story. 6. Cheer (not coach) from the sidelines: Parents try limit your vocal support to words of praise and encouragement for your athlete and the team. Avoid shouting any comment that feels like instruction or coaching tip. 8. 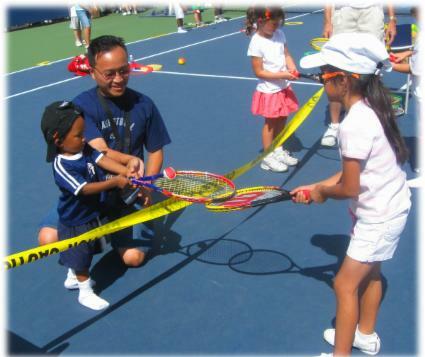 Encourage independent thinking: Allow your child to make decisions on the playing field or court without outside parental or coaching intervention. 9. Consistent practice builds confidence: Try to keep your athlete on a consistent practice schedule that will allow for the gradual building of fundamental skills. 10. Understand the learning curve: Athletic skills take years to develop so be patient during the process. Celebrate each small success along the way.